Hosting No. 1 Wake Forest, men’s tennis fell 4-1. Louisville won the doubles point, but quickly bowed out in singles. “We felt really good about doubles because that was our goal all week … because we won 13 in a row at one time and got into a bad funk,” coach Rex Ecarma said. The No. 14 doubles team of junior Chris Morin-Kougoucheff and sophomore Parker Wynn downed the No. 17 team of Ian Dempster and Skander Mansouri 6-4. “Parker and Koug, those guys can beat anyone in the country at the No. 1 doubles and they showed that,” Ecarma said. The pair of junior George Headley and sophomore Fredrik Moe sealed the doubles point with a 7-6 (9-7) win. Beyond the doubles, little went in Louisville’s favor. No. 5 Petros Chrysochos gave Wake their first point by beating Wynn 6-0, 6-1. The Deacons closed the match by sweeping the next three sets. Ecarma said he didn’t like the fight his team had in the loss. “We knocked them down, they got up and knocked us down … and we never got up again,” Ecarma said. 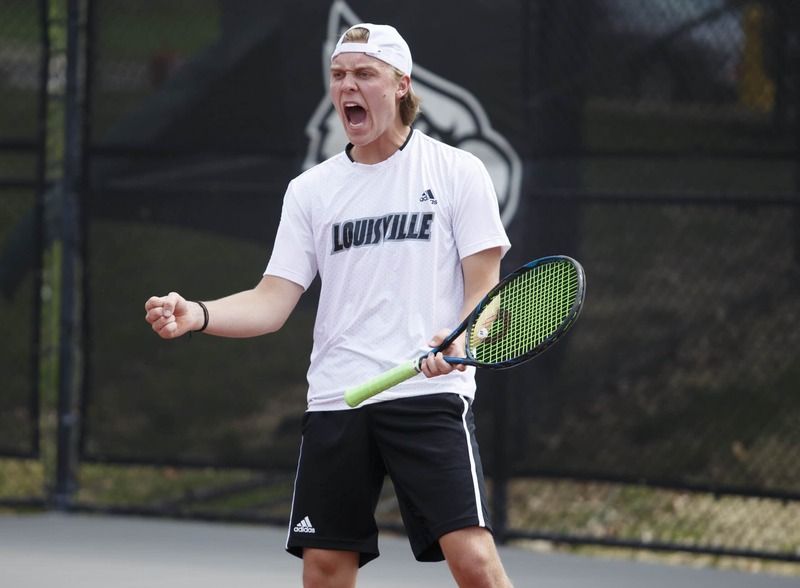 Louisville has two matches remaining before the ACC tournament and Ecarma said it’s on his players to finish strong. “It’s all about the players right now. It’s all about their personal confidence — how clutch they can be,” Ecarma said. U of L’s senior day is Sunday April 15 at 12 p.m.
You can follow Dalton Ray on Twitter @dray5477.